CMGS is a must for large ClickShare and wePresent installs. 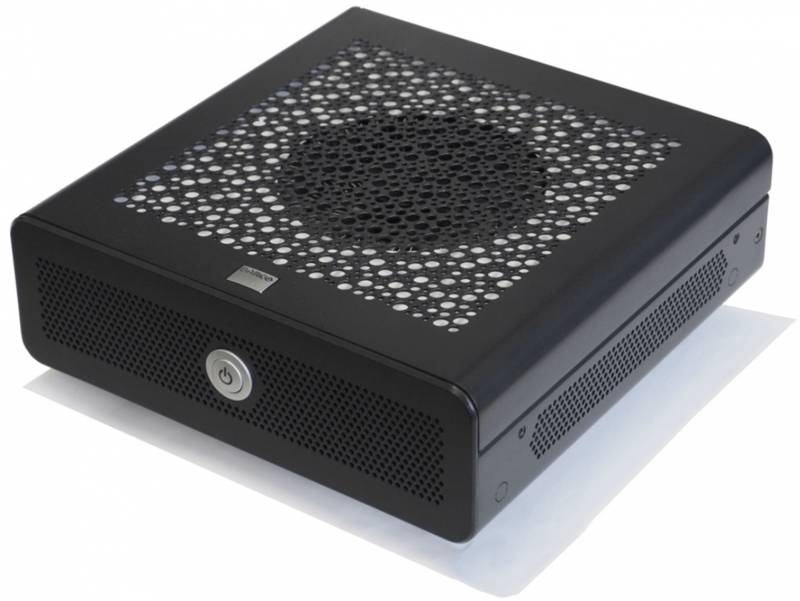 From one location, system administrators can manage the complete fleet of ClickShare CSE-200 and CSE-800 models and wePresent units throughout the company, in any location. This is especially useful in large corporations with multiple units of both types installed across different sites. The Collaboration Management Suite is a web-based tool, so the system administrator can use it anywhere, even remotely. The look and feel ensure an intuitive experience, with enhanced stability and security of the application. When scheduling software updates, the administrator can easily set the time for the update outside of business hours, avoiding meeting interruptions. 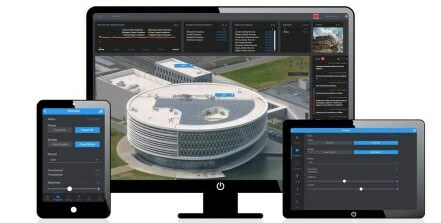 With a single click, the latest firmware is available in the Collaboration Management Suite and ready to be installed on all units in the network. Configuring the units to the company’s preferred settings is easier, by cloning a configuration and pushing this to all individual units. 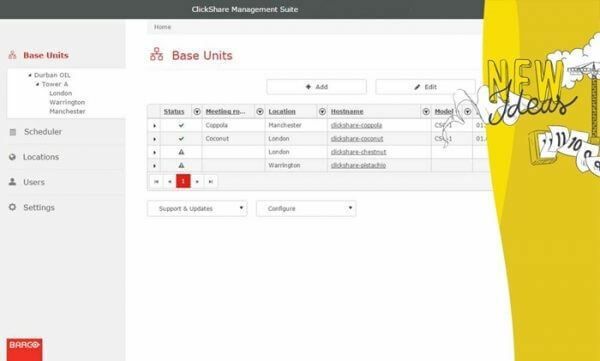 A real-time status overview of all ClickShare and wePresent Base units in the company network can be consulted. The CMGS makes it easy to integrate ClickShare and wePresent into the company network. Pushing wallpaper to all units in the company is possible. You can easily share motivational messages from the HR department e.g., increasing their impact. Other features include e-mail notifications (of new available firmware versions, or Base unit warnings), remote rebooting of units, and the ability to download log files. The Collaboration Management Suite is simple to install: you only need a (virtual) server, on which you install the software using the ISO image provided. For ClickShare base units; Buttons will not interact with the Base Unit using its own Wi-Fi channel, but by using the company network, which is preferred by many IT departments, who want to keep strict ownership over all wireless communication in the company.